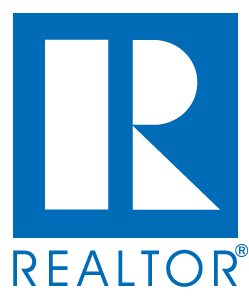 Raised in Florida and a graduate of Florida State University (undergrad and graduate), I’ve proudly served 15 years as a top Realtor with RE/MAX Action First in Clearwater Beach, Florida. 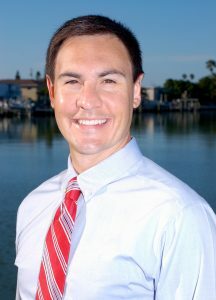 As a multi-million dollar producer who works with both Buyers and Sellers in Pinellas, Pasco, and Hillsborough counties, it’s my passion to help you discover your dream home, your second or vacation home, or sell your existing home! ATTENTION REAL ESTATE AGENTS: I want your referrals and will pay a 30% referral fee at closing! This is higher than the typical 25% referral fee. Our market has changed considerably since early 2013. With inventory low, it’s an optimal time to sell. The interest rates are still low, which means it’s also a good time to buy! Join my mailing list and you’ll be automatically notified the second a house comes on the market. For investors or those relocating to the area, I can preview homes, take pictures, and email them to you. As a former Occupational Therapist, I’m uniquely qualified to work with any disability and find a home that suits your unique needs. I also hold GRI (Graduate Real Estate Institute), SRES (Senior Real Estate Specialist), and SFR (Short Sales and Foreclosure Resource) designations, and am honored to contribute to Children’s Miracle Network with every sale. Take a look at what some of my loyal clients have to say, and when you’re ready to list or buy, please contact me or call (727) 510-8613. I truly look forward to being your trusted Realtor. “Nan was outstanding in every way!! She made my first time buying experience stress free, always kept me informed, was always there, and found me just what I was looking for.” Roberta D.
“Nan George was not only the best real estate agent I’ve had the opportunity to work with, she was the best individual in the entire service industry I’ve had the pleasure to deal with. Thanks Nan!” Rick N.
“Thank you so much for all your help in getting Mom’s house sold. You were there for me every step of the way. Selling a house from another state is never easy, but you were there for me every time a problem arose. From finding an insurance agent for an unoccupied house, to being there when the handyman had things to do, to dealing with the buyer. You did everything I hoped for and even more. You were wonderful support when the whole process was getting me down. I feel that we went through this together and I came away from it with something very precious – a friend. Thank you again. I couldn’t have done it without you.” Judy B. “We loved Nan and would use her again and tell friends about her. She was more than an agent, she became a FRIEND. We trusted her. She is super with people and so kind.” Marty & Judy P. “Nan listened to what we said were looking for. She knew and understood our situation. No one’s time was ever wasted. We only saw what fit our criteria and not what would give her the most commission! Nan is a rare gem in the Realty world. She was a true pleasure working with.” Kathleen & Charles L.
“I love my new condo. It meant so much to me to have you as a Realtor. You spent a lot of time with me and made the experience so easy to go through, and I thank you so much for all you did.” Susan G.
“I want to say how much I appreciate you for staying with me for 2 years and how you worked so hard to sell that house. You’re the greatest.” Pauline “Nan George’s honesty, integrity, and hard work saved the deal for our firm! She is a stellar asset!” Bette G.
“Nan is my agent for life!” Kimberly S.